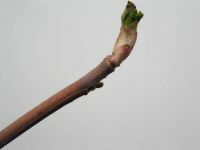 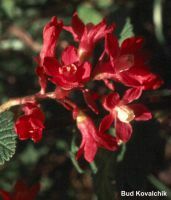 Erect, unarmed shrub 1-3 m. tall, with reddish-brown bark. 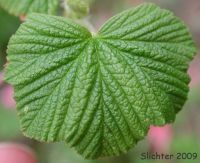 Leaves alternate, petiolate, broadly reniform to deltoid-ovate, 2.5-6 cm. 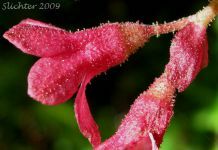 broad, the lower surface much paler and hairier than the upper, palmately 5-lobed, the lobes deltoid to rounded and finely denticulate. 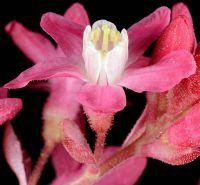 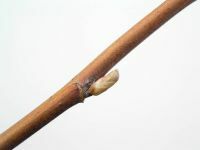 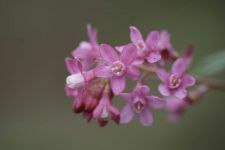 Inflorescence of erect, 10- to 20-flowered racemes; pedicels jointed; calyx pale to deep rose, finely pubescent; calyx tube 3-5 mm. 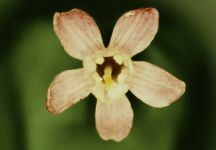 long and nearly a broad, the 5 lobes oblong, equal to the tube, spreading; petals 5, white to light rose, obovate-spatulate, entire, 2.5-3.5 mm. 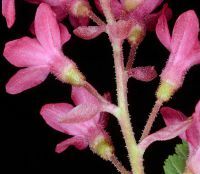 long; stamens 5, equaling the petals, the filaments pinkish; styles 2, glabrous, fused almost to the stigmas; ovary inferior. 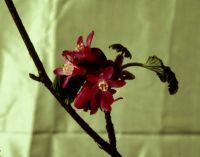 Berry globose, 7-9 mm. 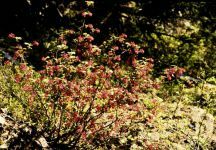 long, glaucous-black. 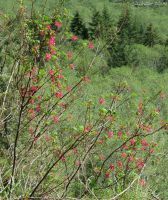 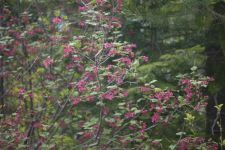 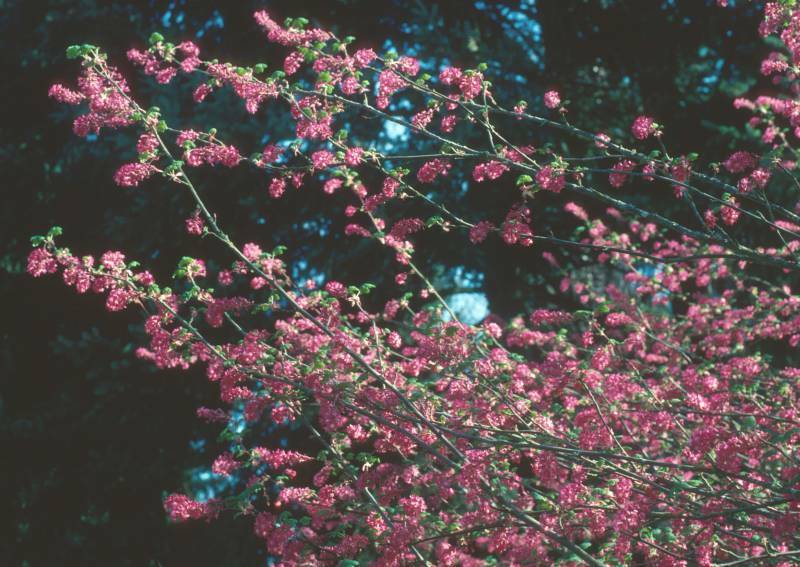 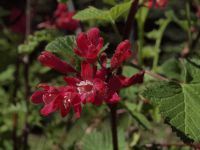 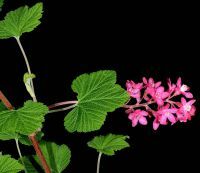 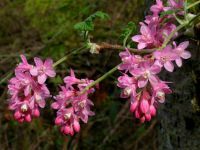 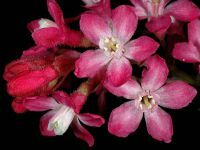 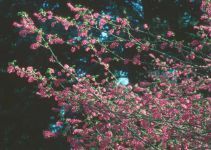 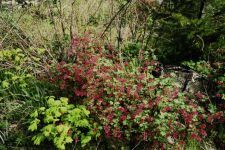 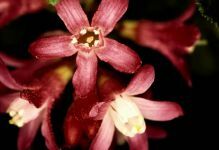 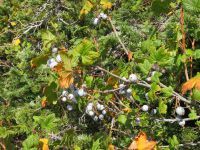 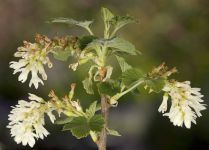 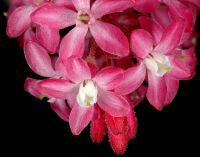 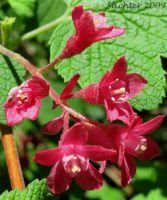 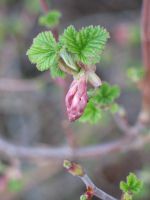 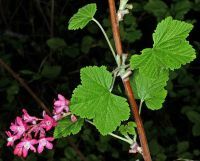 PNW Herbaria: Specimen records of Ribes sanguineum in the Consortium of Pacific Northwest Herbaria database. 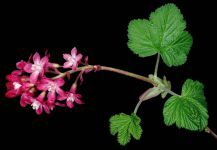 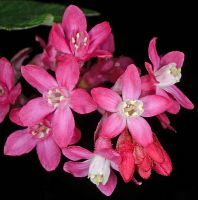 WA Flora Checklist: Ribes sanguineum checklist entry. 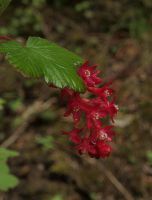 E-Flora BC: Ribes sanguineum atlas page. 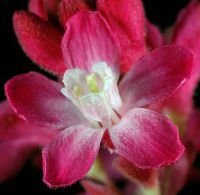 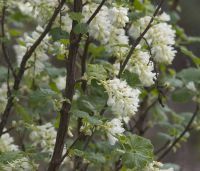 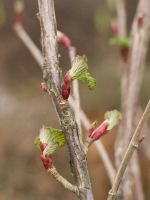 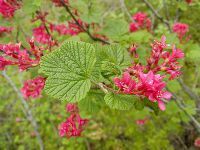 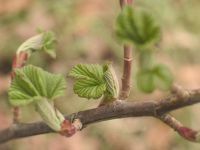 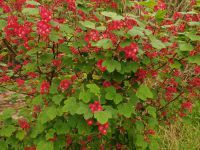 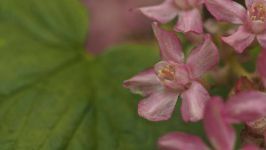 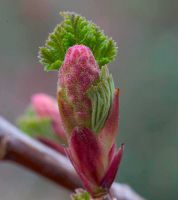 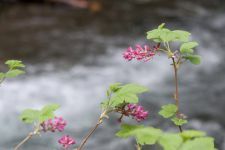 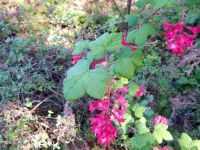 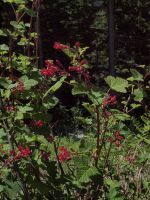 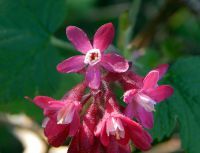 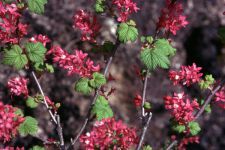 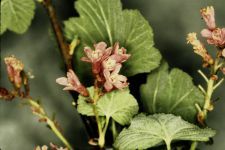 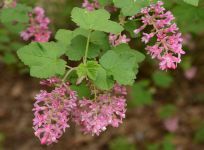 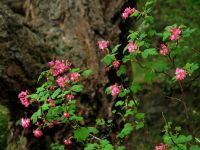 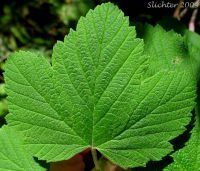 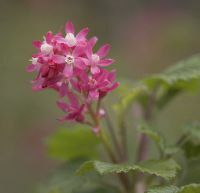 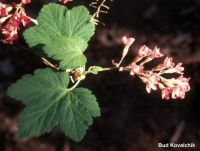 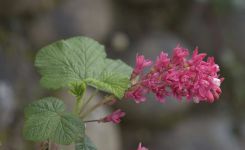 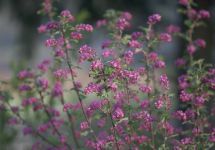 USDA Plants: Ribes sanguineum information.